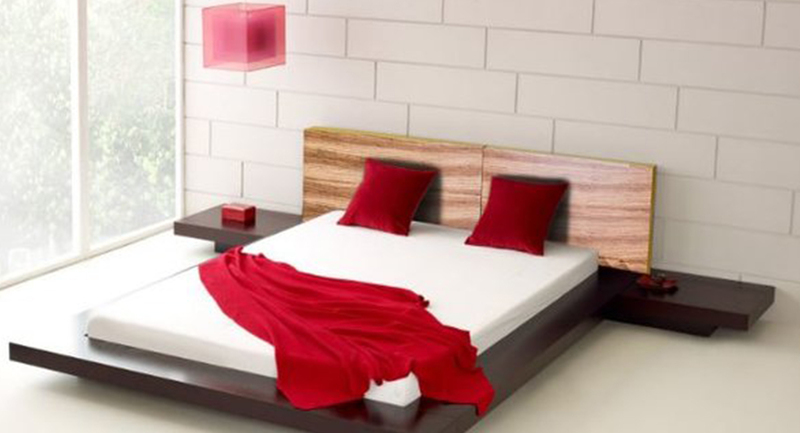 Fujian bed is a low profile Japanese designs platform bed with sleek and clean lines and two nightstands on both sides, constructed from solid hard wood. This bed comes in 4 boxes .Color: Esspresso frame with headboard in Oak finish. 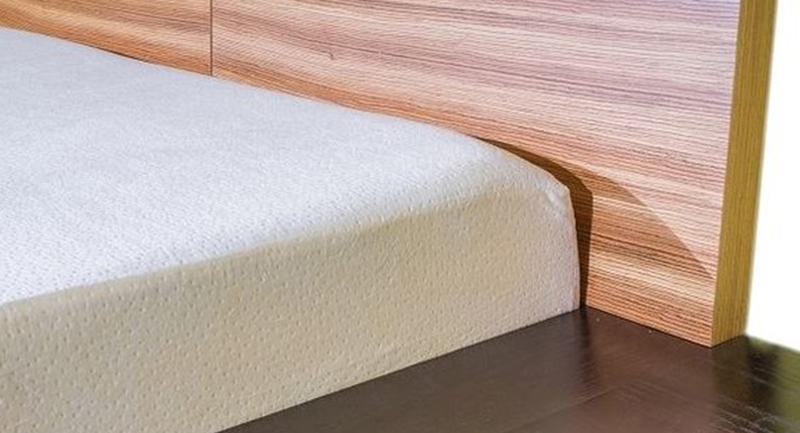 Mattress is supported by Slats. Headboard measures 26 inches high. 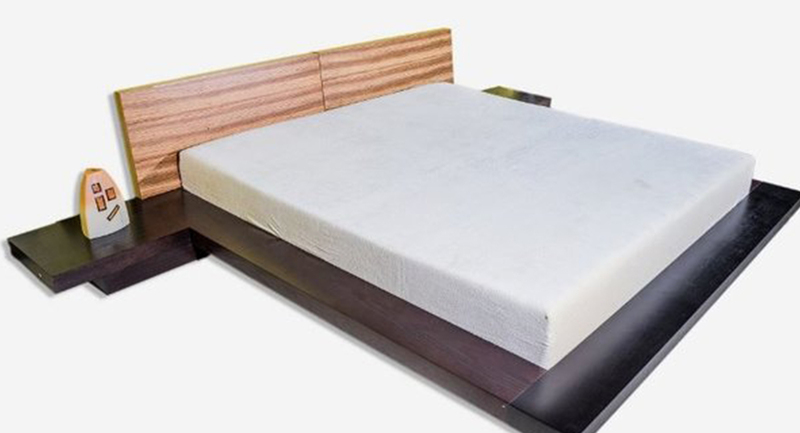 Nightstands measure 23.5 inches wide x 18 inches deepx 7 inches H.
Mattress may be purchased at the discounted price, mattress offered is our high quality Pandora 10″ thick memory foam, available in Queen or King size.